New Mexico's Premiere Fashion Week! We believe in and promote Ethical Fashion with an emphasis on diversity as well as social responsibility. 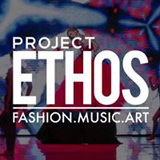 Project Ethos showcases emerging fashion, music and art to buyers, media and consumers through live events and the world wide web.